Joyetech eCom Single Pack is a new generation of Joyetech products. It has two modes, VV and VW, respectively adjusting the voltage and wattage.3 colors available. Joyetech eCom starter kit comes with a new eCom battery and a eCom atomizer. The battery has two modes, VV and VW, respectively adjusting the voltage and wattage. The upper air inlet and outlet eliminate the likelihood of leakage. In addition, high voltage, high output and large vapor are all available on eCom due to its new atomizer C2 head. It remains the transparent e-juice window. And the upper air inlet and outlet eliminate the likelihood of leakage. 650mah capacity available. • Unique battery thread: eCom atomizer adopts the peculiar thread, connnecting exclusively to eCom battery in a brand new fashion. Besides, eCom battery is NOT compatible with other atomizers either. • Mouthpiece connect: You can use the mouthpiece connect to assemble eCom with pluggable mouthpiece. Ein super Gerät. Lieferung kam schnell, Joyetech eCom Starter Kit funktuniert einwandfrei und sieht im matt schwarz bombe aus. 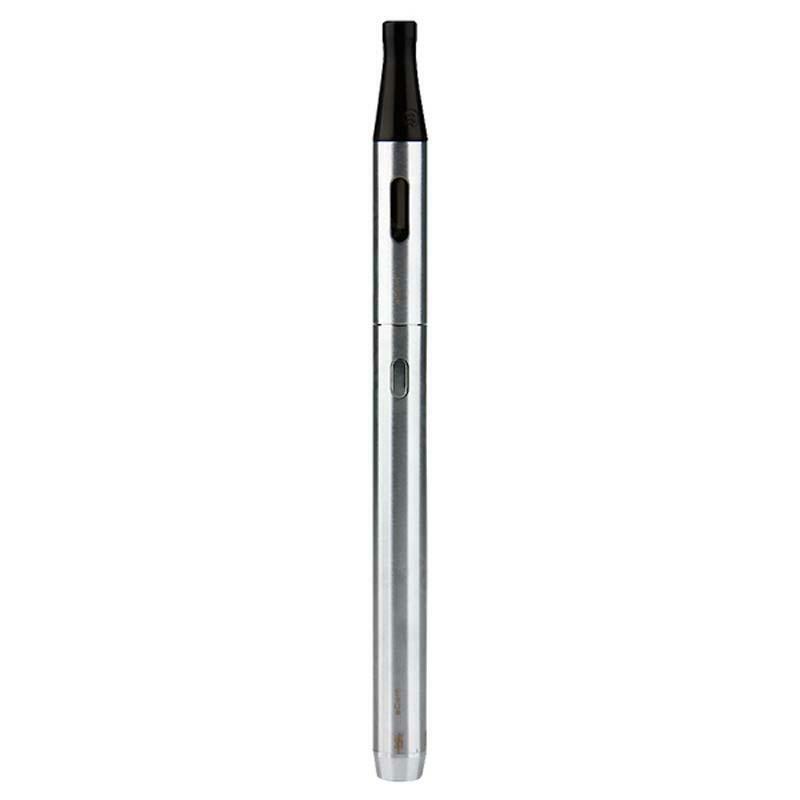 Joyetech eCom is very easy to use. Works very good for beginners. The kit is very small and fits in every pocket.